Our Doctors - Eye Associates, P.C. Our Doctors - Eye Associates, P.C. When you visit Eye Associates for your vision care, you know that you are placing your eyesight in the hands of highly skilled and experienced specialists. Our team includes twelve doctors and a large group of dedicated and talented support staff. Our physicians have been trained at premier medical schools throughout the world. Our ophthalmologists are board certified and have decades of combined experience diagnosing and treating conditions of the eye. We are proud to have a team of highly trained eye care specialists who are dedicated to the care of our patients’ vision and optical health. 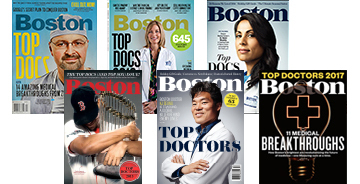 The outstanding credentials of our physicians set our practice apart, but it is their commitment and compassion that make us one of the premier ophthalmology groups in New England. Michelle C. Liang, M.D. is a board certified member of the American Board of Ophthalmology and a member of the American Academy of Ophthalmology and American Society of Retinal Specialists.